deadliest wildfire on record in Arizona. while taking the lives of 19 members of the Granite Mountain Hotshot firefighter crew. and in honor of their families. and is nestled between Antelope Peak and the Weaver Mountains. The area is known as Yarnell Hill, boasting an elevation of 4,800 feet. It is surrounded by state forest. "Where the Desert Breeze Meets the Mountain Air". where you can see 10 miles or more! The actual event in Yarnell will be limited to 500 people. Is your company or organization looking to get involved in an amazing cause while bringing in great exposure? Consider sponsoring our event! Many different levels to fit every budget or need. More information on different sponsorship levels and how to get involved check out our Sponsorship Opportunities here! - Custom Event Finisher's Medal for all participants. 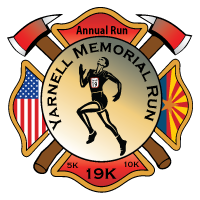 Of course we want you to participate in the Yarnell Memorial Run event locally but we know things come up. So, if you can't join us on race day and still want to run, get the medal and the shirt then you still can! Here is your way to take part in this event no matter where you are! And of course, all prices include shipping! Prior to the event all virtual participants will receive an email with instructions on how to submit your time. Please note that all items will be shipped following the event on June 1st. Strollers are welcome but please note the course is a mix of dirt and pavement. We will have a bag drop for this event. 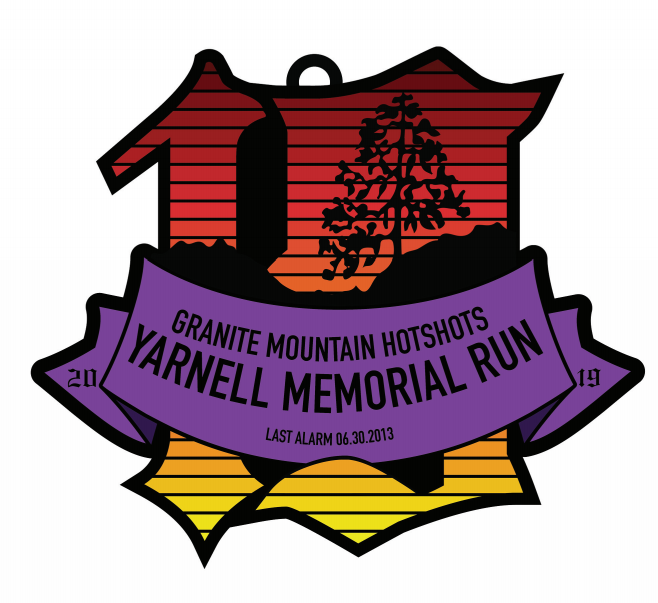 Saturday, June 1st at Yarnell Assembly of God (race location) beginning at 6am.